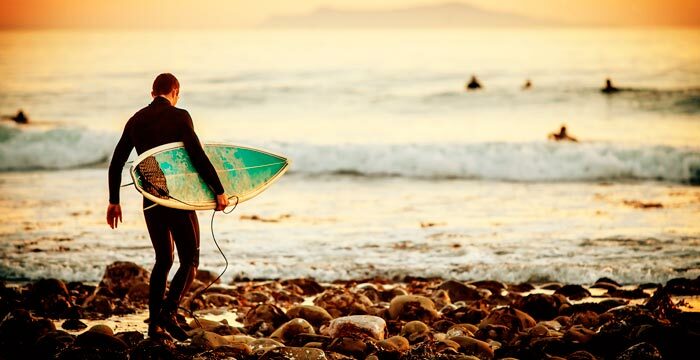 Surfing in Peru is considered a paradise in its own right. 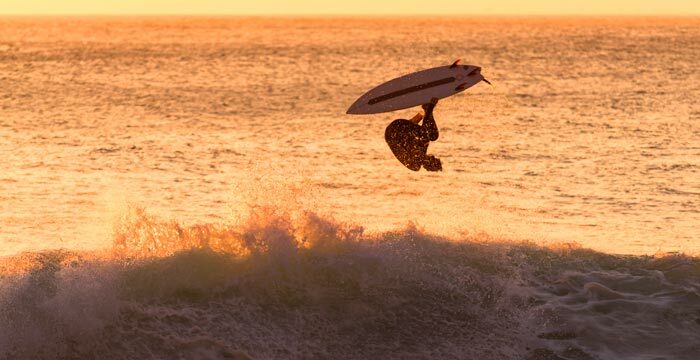 Having almost 1,864 miles of coastline, Peru is no stranger to surfing. History even shows that its once of the birthplaces of the sport. 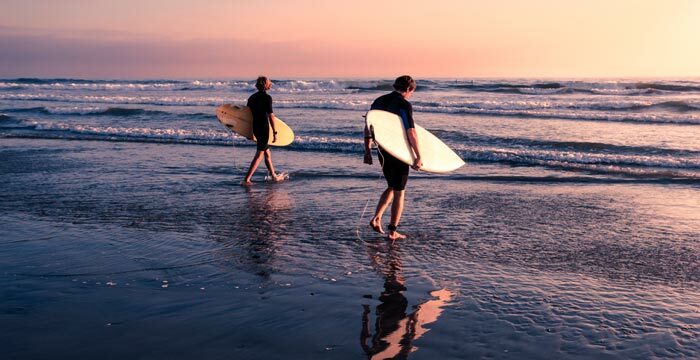 With a swell to suit every ability from seasoned pros to budding beginners, your private luxury Peru trip should include a visit to Lima’s and northern Peru’s surf havens for a go on the rolling Pacific waves. Located in the Piura region of northwest Peru, Los Organos offers some of the finest reef breaks in the country and soft white sands. The mighty tubular waves can rise up to more than six feet in height, and, with warm year-round sea temperatures ranging between 76 and 83 degrees Fahrenheit, you can comfortably break out the board no matter what the season. If waves are a top priority for your private trip to Peru, los Organos should be on your radar. 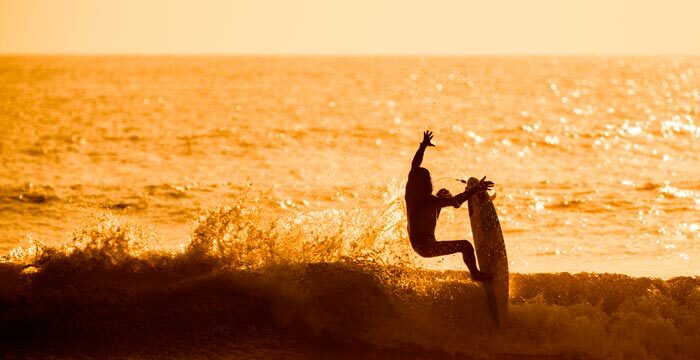 Surf’s up year-round in Mancora, where water temperatures hover somewhere in the region of 76 to 83 degrees Fahrenheit and swells are constant. The beach scene here is dominated by board carriers who come to test out the rolling waves, which reach heights of up to 6.5 feet. After riding the waves, recharge and relax on the powder-soft sands. When surfing in Peru, one should always consider a stop in Mancora. This wonderful sandy beach has an impressive literary connection: it was used as the filming location for the film adaptation of “Old Man of the Sea,” during which Ernest Hemingway famously stayed here. Waves at Cabo Blanco climb to between three and a whopping 10 feet, breaking dangerously close to the reef – a real thrill for experienced surfers heading on a private trip to Peru. Located north of Piura, this paradise-like beach is justifiably popular among surfers. Tempting reef-breakers reach in excess of six feet, yielding plenty of fun wave rides. Huanchaco is an excellent choice for budding surfers, who can hone their skills on waves that vary from about 1.6 feet all the way up to ten footers. Ocean temperatures clock in at anything from just under 64 degrees Fahrenheit to a toasty 72 degrees Fahrenheit. 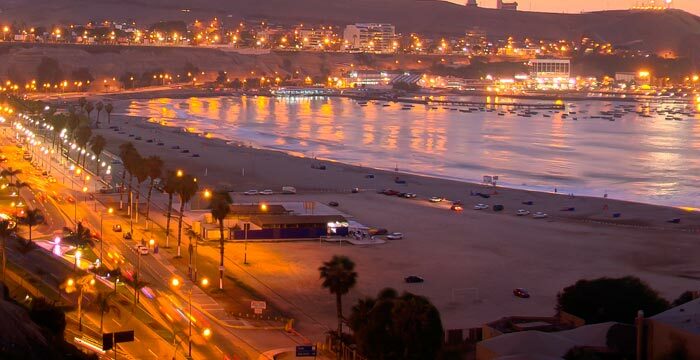 Surfing in Peru would be complete with a trip to Huanchaco in Trujillo. Surfable swells aren’t hard to come by at this beach, where long, well-formed waves roll in regularly, often soaring to around 10 feet tall. Lima’s beaches are among the most widely surfed in Peru, and for good reason. With almost 1,864 miles of coastline, there’s a swell here to suit every ability, from first-time boarders to surfing professionals. Many of the most scenic beach resorts can be found south of the city. Speak to a Kuoda representative today and they’ll help you discover which particular Lima beach will best suit your surfing ability.